Here’s a great addition to the archives. 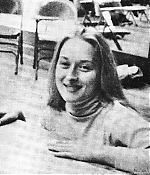 Over 50 images of Meryl’s early stage performances have been added to the image library. The update includes pictures from the highschool productions of “Li’l Abner” and “Oklahoma” in 1966, Meryl’s years at the Yale Drama School and the Vassar Drama Department (including “Miss Julie” and “The Miser“). 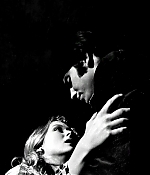 Then, there are additions to the Yale Repertory Theatre galleries, including “The Possessed“, “The Idiots Karamazov” and “A Midsummer Night’s Dream” and various pictures from her plays with the Public Theater. Also, promotional posters for “Measure for Measure“, “The Taming of the Shrew” and “Alice in Concert” have been posted. By clicking below’s previews, you can launch all last added pictures. Enjoy!